This is a very short post. Soon I will attend the DICE2104 conference in Castiglioncello (Tuscany) Italy. One presentation I am looking forward is "History of electroweak symmetry breaking" by Tom Kibble, one of the co-discoverers of the Higgs boson. After the conference I'll have plenty of material to cover, including interesting tidbits on gauge theory. In the meantime I am preparing an interesting statistical post which includes dramatic real-life implications. Please stay tuned. 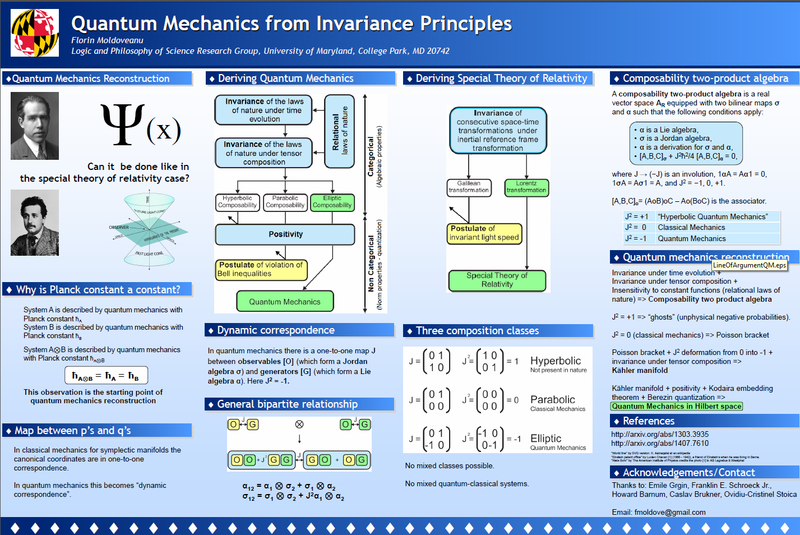 Great poster, a very synthetic picture of your reconstruction of QM! See you at the conference! BTW, I've seen Tom Kibble's Christmas talk in Bucharest, at the Ateneu, last December. Thanks. See you at the conference. There are a few people from Romania (Andrei Patrascu, Catalina Oana Curceanu, Sandu Popescu, you, me), I was thinking to get together and have some dinner or lunch together. Open Thread for discussing the term “Quantum Supremacy” - This is an open thread in case anyone wants to discuss the merits and demerits of using the term “quantum supremacy”.